Roentgenium (Rg). 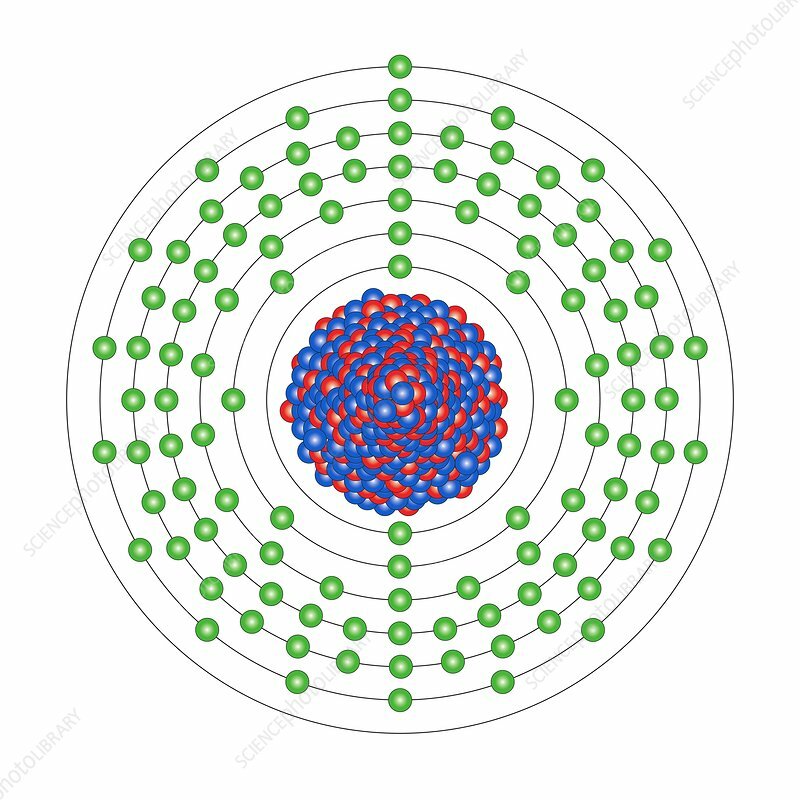 Diagram of the nuclear composition and electron configuration of an atom of roentgenium-281 (atomic number: 111), the most stable isotope of this radioactive element. The nucleus consists of 111 protons (red) and 170 neutrons (blue). Named after Wilhelm Roentgen and first synthesised in 1994, this element is a transactinide of unknown properties in group 11, period 7, and the d-block of the periodic table. Roentgenium-281 has a half-life of 26 seconds, its nucleus undergoing spontaneous fission.